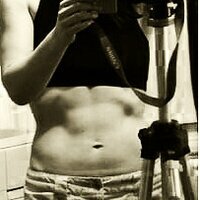 Follow @mcphoo Tweet Being overweight is not simple. Lest anyone say "just eat less" you have my permission to punch them in the arm (gently, or maybe not so much: use your discretion). Being Overweight: Complex Interactions. When we get overweight a whole lot of complex interactions happen to make it harder to lose weight. One of the factors seems to be we become increasingly, hormonally and sensually numb. By hormonally numb, we can think about things like insulin resistance, chronic fatigue, sometimes not being able to feel full, not being able to concentrate (here's an overview of what hormones are). Sensually numb can be that our awareness of any of our five senses get diminished. At the extreme end, if we think about certain stages of type II diabetes, often associated with obesity, feet losing sensation is a not uncommon side effect. PLASTICITY: we can be BETTER. The happy thing about our bodies is that they are incredible resilient; we can recover our sensitivity, and often, our sensitivity comes back on line as we get our weight under control. The inverse may also be true. In other words, helping our senses come back on line might just help us modulate our behaviours around food and so help us get our weight back in line with where we'd be happier. Knowing more about how we can get at our weight via different pathways can be a great way into addressing fat. In this piece we're going to look at some work connecting smell awareness and obesity, and propose a way to tune that sense up to our advantage for fat loss. A recent paper proposed a correlation (not causation) between obesity and taste perception. It seems that obese kids and teens had a lessened taste acuity compared with their non-obese peers . Sensitivity to salty, umami and bitter were particularly low for the obese, but sweet was not great either. TASTE IS COMPLEX. The authors don't go into why some folks have better taste discrimination than others, but the interesting thing? They note that taste sensitivity is multifactorial, that is there are many components at play that inform taste acuity. Culture is one factor: consider what tastes do we encounter? what quality? Hormones are also influential. Leptin seems to have a taste influence. 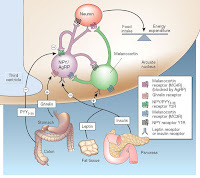 Intriguingly leptin acts to give a the shut off signal to the brain (the hypothalamus) to say "don't need to eat now. 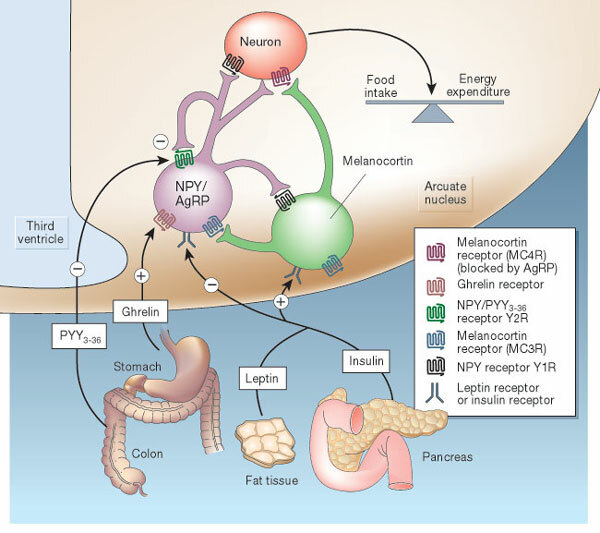 "(Nice research overview of Leptin in ; lay overview of Leptin here). 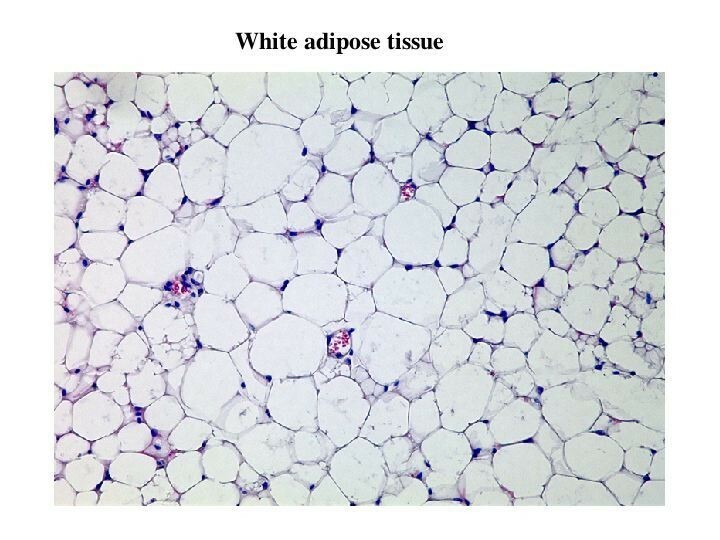 WHITE FAT TALKS TO US Leptin is a really intriguing switch because of where this hormone is generated. 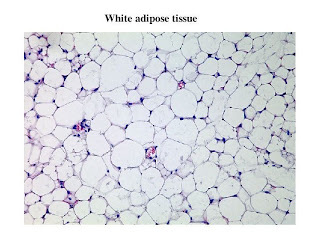 It is produced in adipose tissue (white fat). Most of us tend to think of fat as rather innert squishy stuff. On the contrary: there's a lot going on in this live tissue, including hormone production. The relationship of leptin secretion to fat is seemingly simple: less fat, less leptin circulating. Leptin and Taste: The consequence of this loss of fat/lower leptin levels seem to be an increased taste awareness -- especially (and perhaps not surprisingly) for Sweet tasting stuff - that would be stuff that is usually high in fast energy sources, like sugar, and sugary starchy carbs . On the plus side again, it seems the sharper our senses of taste, we see from the research sited about that we're (a) likely leaner and (b) possibly leaner because sharper tastes which mean not needing to eat of a sweet taste to get a satisfying hit from taste. We can potentially perceive the sweetness better in more nutrient dense calorie lighter foods. Indeed, one researcher argues that if we upped not so much the sweet, but the savory/umami flavour of foods, we'd get better nutrient balanced meals, and better regulation of food intake . Smell and Taste? Taste just to be über clear is something more separate from smell than most of us think. These senses are separately wired in the brain. Smell has its own dedicated cranial nerve in the brain (CN I). Taste, however, is fed by several of these cranial nerves. So the brain shares taste accross several important information channels. But what about when we have a cold, and can't taste anything or smell anything? It may be tastes are muted because less combined with the smell bits and strong associations of smells with tastes (remember taste is multifactorial)- BUT - it may also be the cold simply affecting our taste buds. According to Brainfacts, when taste and smell come together, we get flavour. Now you know. Fasting and Heightened Smell Awareness. You may have noticed that if you fast for any period of time, your sense of smell goes up. Recent research  suggests this is not us hallucinating from lack of food. When you think about it, it almost makes a kind of sense: hunger may sharpen precision for detecting sources of nutrients. How about that as a story? Love that smell of a bakery in the early morning before one's first coffee? That may be us on the hunt, and keen to source out our Carb Prey. How Boost the Taste for Lean? Whether or not putting scent crystals on food to tun on smell and so reduce intake actually has about zero research support. Taste on the other hand, as we've seen above, does. There does seem to be a relation between taste perception and dietary intake, where better taste awareness seems to be associated with leanliness. So might their be some value especially if we're overweight in attempting to boost taste perception? ZINC CHECK One observation in the literature is that poorer taste acuity is associated with low levels of zinc . Get zinc at healthy levels, both taste AND cognitive function improve. Double win. Just 30mg a day seems to make a taste-y difference. 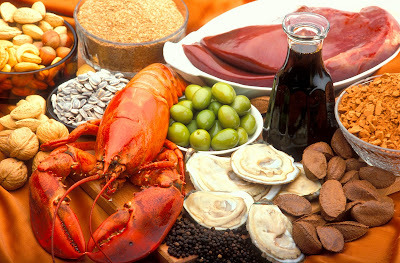 A list of "top ten" zinc foods is here. These include oysters, veal liver (other types of liver have it too), peanuts, and of course, dark chocolate. Fuel is super critical to our wellbeing. 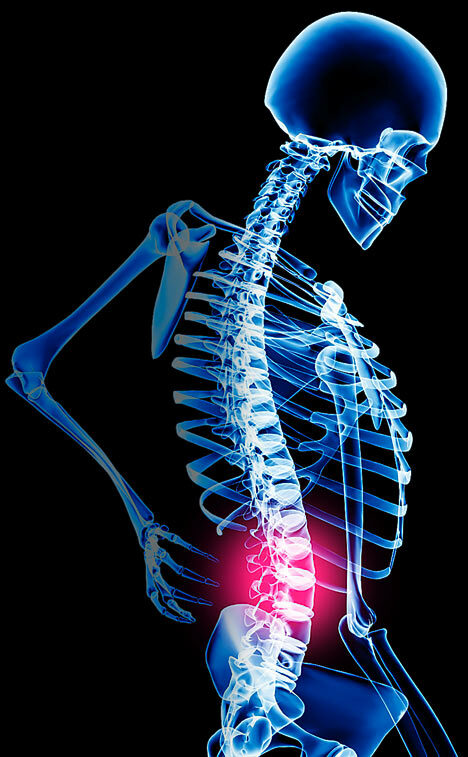 Getting the right nutrients, like Zinc, more of the time takes care of a worls of ills. Another part of getting systems back online is to activate the nerves that communicate with those systems. Taste is a physiological system. Our systems are plastic (overview of what that means): we are use it or lose it systems. The more we practice something, often the better we get at it. Since taste is multifactorial - influenced by a variety of factors - we can practice of taste as a skill. Consider Chefs who deliberately practice discerning tastes of various kinds of items that are very different and very similar. Or likewise there are various tasting clubs for everything from olive oils to wines to chocolate. Something more immediate as a practice tool may be to stimulate the nerves that are engaged in taste. There are three big nerves in the head (cranial nerves) that are involved in taste: cranial nerves VII, IX and X - by convention the nerves are labelled with Roman numerals. You can see how these nerves map on this list.). Without going into too much detail, these nerves are mapped to parts of the face, to a lot of swalliwing and well, gagging (the epiglotis has taste receptors on it). So we can actually excite taste buds by association of triggering those nerves. 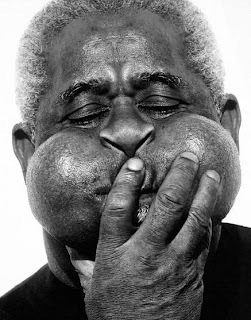 To activate the facial nerves, we can blow up our cheeks as big as possible. Take a look in the mirror and see if one side semms like it's better able to do it than the other - this may indicate a place where we could practice to get better symmetry. Swallowing is another thing we can check. With our tongue tip pressed to the roof of our mouth, see how many times we can swallow in a row before we have to quit. If after the second swallow we need a break or it's hard, that may indicate that those nerves don't get much work. Practice can be a real benefit. Swallowing is really important to the brain, too. At some point we can talk about central pattern generators. But for now, if you find that swallowing repeatedly doesn't get better with practice, think about checking in with your doc. Here's the thing: it's great to do these exercises, but even better to check their effect. We can see a difference pretty immediately. To check effect, we need to do a pre and post assessment. Remember salty, umami, bitter and to a lesser degree, sweet, were the tastes found affected. So, before doing the exercises, try checking something with one of these tastes - in any individual one taste may be more "numb" than another. Here are some blends (pdf here for more) for preparing some taste tests. An approach to test salty for instance might be, taste the salty, rinse the mouth out with water; do one of the exercises for about 5 reps; re-taste. Any difference? If not, try the next exercise; re-test. Take a break, come back try another taste. If one of those movements helped improve taste, think about incorporating it into your daily activities. Do it throughout the day; do some more reps before you eat. If NONE of the movements help your taste buds, check out how your diet is in terms of zinc foods, and think about upping these for at least two weeks consistently, and retest. Concept: Better Taste Sensation, More Alive to Food Flavour, Head to Leaner Being? The authors of the study we started with did not offer a functional application of their findings; they simply noted the correlation between taste and body composition. In this post, the suggestion is: let's see if nudging taste may also help with moving towards better awareness, and perhaps therefore better satiety that leads from better appreciation of food in the mouth. IT's easier to enjoy food more mindfully if we can appreciate the nuances of its taste (about mindful eating). On another high point: there's no down side to practicing the activation of those cranial nerves targeted by swallowing or blowing up our cheeks: doing so stimulates many associated Good Things in our brains. Likewise, zinc is really important in our diet and often quite low. No matter our body comp, therefore, using nutrition and movement to affect our brains and bodies to help us move towards optimal wellbeing is a Good Thing. If you try the above tests, please let me know how your taste improves. You can post here, to @begin2dig on twitter or begin2dig on facebook.